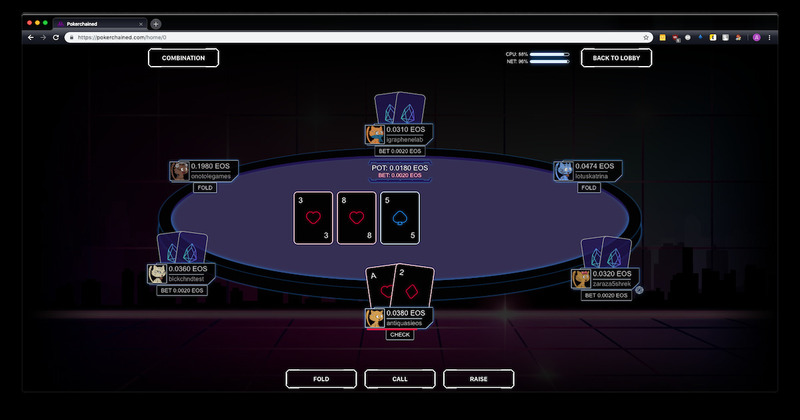 Shuffling and encryption is performed only on players’ devices — it’s not possible for anyone to know the cards of others. The game was built using “Mental Poker” principles, which guarantees fair play and excludes any possibility of cheating. Game’s logic is implemented in smart contracts only. It prevents cheating on developers’ side, as there is no back-end code. Payouts are being processed by EOS smart contract. Players can get back their funds at any moment.